I have two festive tutorials lined up for you this year, and here's the first (pop back in a couple of weeks' time for the next one!) 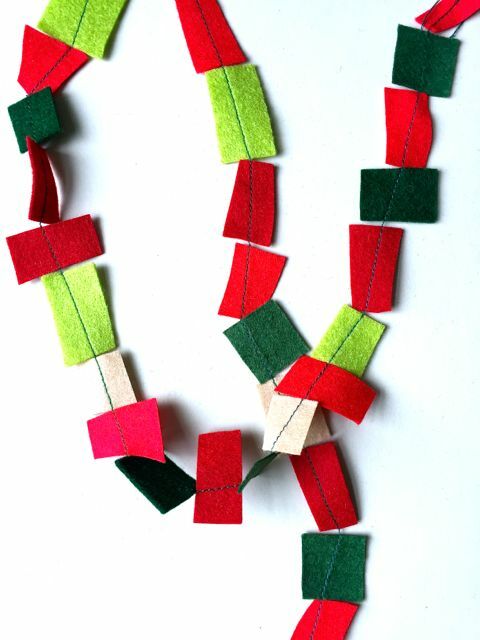 - an exceptionally quick and easy felt garland. 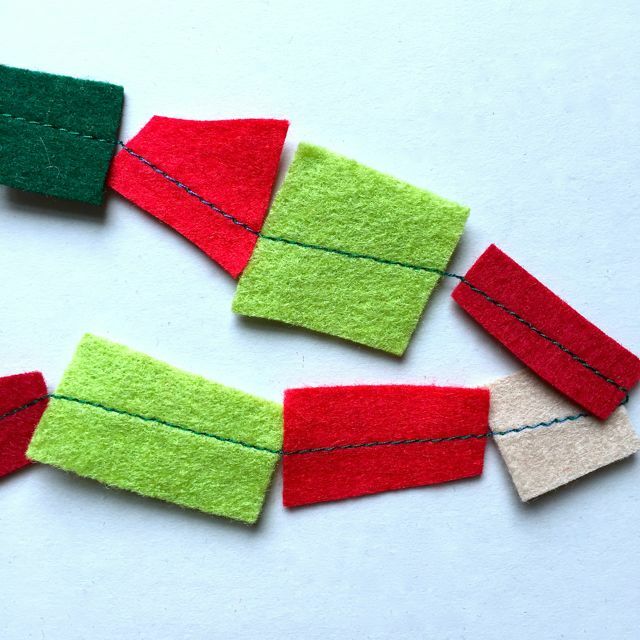 Scraps of felt in colours to suit your festive colour scheme, matching (or contrasting) thread, scissors and a sewing machine. Start by chopping up lots of little pieces of felt. 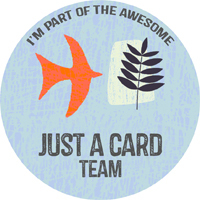 I deliberately went for uneven shapes and varying sizes but you might want yours to be neat and all the same size. I then laid these all out roughly in a strip to check that I'd cut enough of them (I made my garland for the mantlepiece). Now onto the machine... Make sure you have nice long threads hanging out the back (you can use these to tie the garland on to whatever you hang it from - don't worry about this if you're just going to drape it over the tree), backstitch at the start to ensure that your stitching doesn't unravel and then start sewing with a straight stitch. As you come to the end of each piece of felt, feed another one in. I went for a random pattern with the colours and sizes. And keep going until you've used all the felt pieces up. Backstitch again at the end and pull out some nice long pieces of thread before cutting off (if you need them). I'm actually contemplating making more with the rest of my leftover felt (maybe when I'm in a more festive mood! ).